After an adjustment, the treatment of musculoskeletal pain typically utilizes topical "quick fixes" that just mask pain. A sensible evolution is transdermal topicals that offer several functions at once, i.e. complete products, not just single herbs or medications, designed to address specific maladies. The philosophy behind these products, according to Nature's Rite founder Steven Frank, is 3-pronged: address the symptoms (often pain and discomfort); fix the causes (muscle spasms, incomplete blood flow, et al); and facilitate the repair (soft tissue healing). While many comparable products simply mask pain, masking is not what integrated healthcare is about. Or as Michael Byrne, VP of Sales and Marketing at Nature's Rite, points out "Don't just freeze it, ease it." Nature's Rite is a U.S. creator and manufacturer of natural products with direct chiropractic applications. Nature's Rite transdermal topicals are water-based and non-menthol, with little odor, no staining, and easy cleanup. Bruise, Strain, and Tear Repair Gel is designed to help relieve pain and expedite healing of soft tissue damage. Roll-on products include Back and Neck Relief, Joint Relief, and Leg Relaxer which target pain, inflammation, and cramping in specific areas of the body. Nature's Rite offers healthcare practitioners products that are well-suited for both in-office and patient take-home applications. A healthy gut is a foundation to better overall health, as it allows the body to best absorb and synthesize vital nutrients. 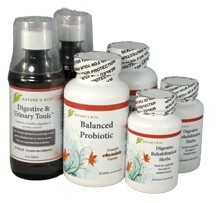 Nature's Rite™ has designed a take-home path towards better digestive health, their new Digestive Rehabilitation Kit. "It is important to note", states Nature's Rite founder Steven Frank, "that while probiotics help your gut, you must not throw them into a hostile environment. This would be like throwing expensive grass seed on a weed-patch." Frank advocates clearing out the weeds first and then repairing the intestinal lining. The Nature's Rite Digestive Rehabilitation Kit contains a powerful, natural anti-microbial to kill off funguses like Candida, as well as bad bacteria, which feed on a sugar/carbohydrate-rich diet. As a second stage, the kit offers probiotics to re-seed the gut and digestive enzymes, to help restore a functional gut. These are complemented by rehabilitation herbs which help soothe and repair a damaged digestive system. The initial cleansing takes 2 days, and then a minimum of a month to follow through on the gut's new "clean slate" with probiotics and repair herbs. 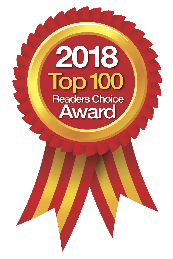 Nature's Rite is a U.S. creator and manufacturer of natural products with direct chiropractic applications. These products are ideal for healthcare practitioners for both in-office and patient take-home applications. For more information, call Nature's Rite or visit their website.